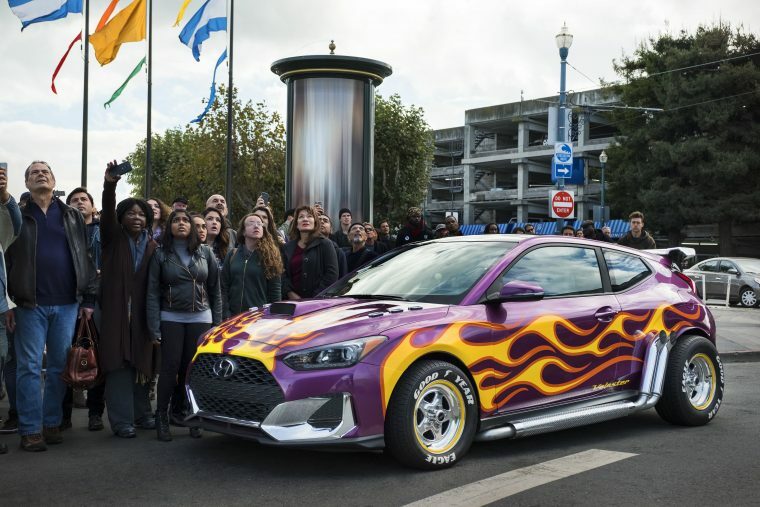 As the latest collaboration in Marvel Studios’ ongoing automotive product placements, Hyundai has struck a deal with Marvel Studios to prominently feature the redesigned Veloster in the upcoming blockbuster, Ant Man and the Wasp. 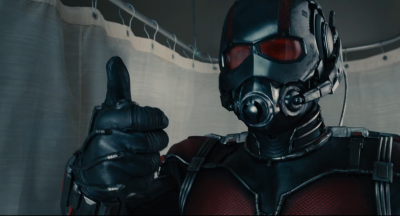 Previously only seen in Netflix shows like Daredevil and Jessica Jones, Hyundai’s starring role in the sequel to 2015’s quirky Ant Man is a fitting move considering Paul Rudd’s current role as Hyundai’s celebrity spokesperson. The film, directed by Peyton Reed, is expected to be a smash hit over Independence Day weekend. To bring attention to the redesign of the Veloster, which will be for sale later this year as a 2019 model, Hyundai has souped up its asymmetrical sports hatchback, giving it a purple body color, blazing yellow flames, a prominent rear spoiler, and side exhaust pipes. While it’s admittedly a gaudy appearance–like something out of an early Fast & Furious movie–it’s unclear who will drive the car and why it looks the way it does–other than that it will serve as a speedy (if conspicuous) getaway ride. The Veloster isn’t the only Hyundai vehicle that will be appearing in Ant Man and the Wasp; while the brand hasn’t disclosed which other vehicles will make cameos, you can expect much of its lineup to grace the backgrounds. Maybe a Genesis luxury model might even roll into frame. This Veloster fit for the big screen is on display this week at the 2018 North American International Auto Show; track it down at Hyundai’s booth, where you can also see the production-version of the 2019 Veloster.